A lawmaker in New York has introduced four bills in an effort to spur research into possible uses for blockchain by the state’s government. 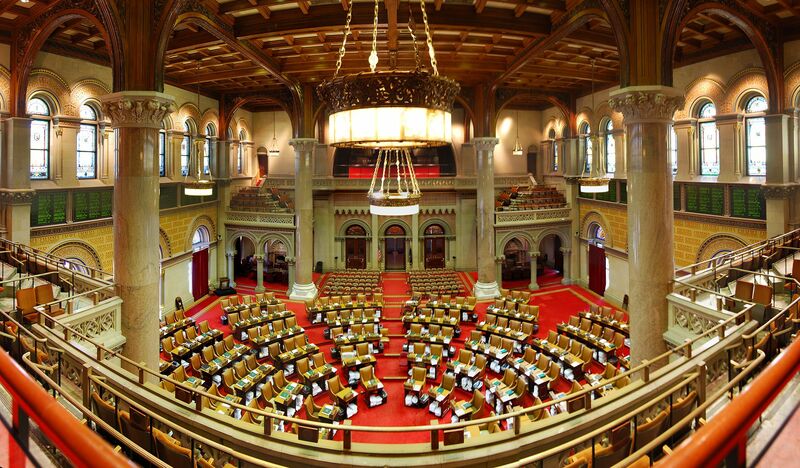 The first bill would to add sections to New York’s technology law which define “blockchain technology” and “smart contract,” as well as provide a legal understanding for digital signatures stored on a blockchain. The second bill “directs the state board of elections to study and evaluate the use of blockchain technology to protect voter records and election results,” according to the text. It gives this study a year to produce a report explaining whether a blockchain platform can help limit or prevent voter fraud, improve cybersecurity around digital voting platforms, maintain better voter records and more efficiently share election results. The third bill also calls for a study and the creation of a task force to determine whether a blockchain platform can be used by the state government to store records and share information quickly and efficiently. This particular measure echoes one pursued in Vermont in 2016, though in that case officials ultimately passed on greenlighting such a platform. The New York bill would require the task force to hold at least one public hearing during its study, with a final report due later than Jan. 1, 2019. Public records don’t offer any clear picture on the future trajectory of the bills, with three of them being referred to a committee related to government options.